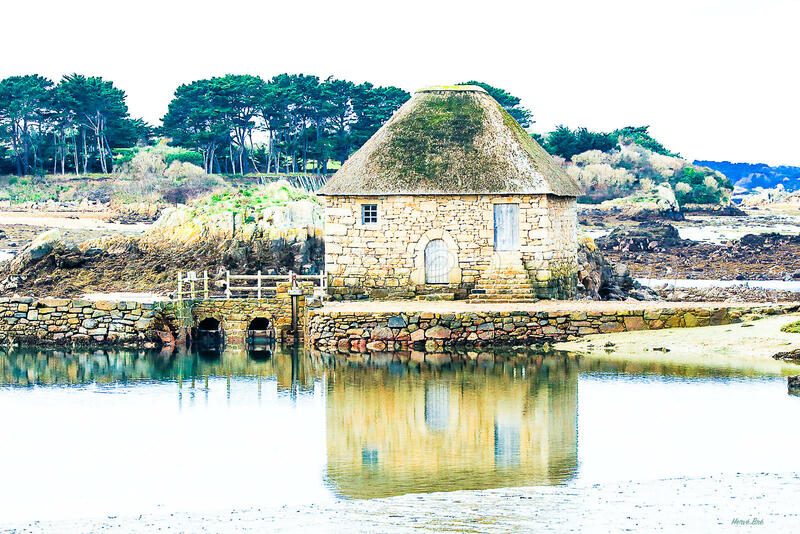 The tide mill here at down tide on the Bréhat western coast. It is driven by sea current when tide rises or falls. It was producing flour.